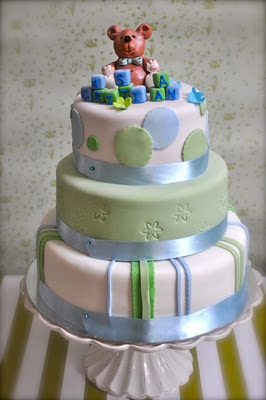 Christening cake for a boy in Stellenbosch. The bottom tier was vanilla victorian sponge cake, the second tier a lovely dark chocolate cake and the last tier victorian sponge cake, all covered with butter cream icing and petit nice icing. The cake served 40 -50 guests.